Sunday, February 1st – During the 11 AM worship, Rev. Christian Zebley will preach from Hebrews 13 and John 10 on a theme of equipping, bringing a sermon titled “Everything Is Ready.” After the worship service will be a robust fellowship time. About the preacher – Christian is an ordained minister in the Evangelical Presbyterian Church. Beginning in 1998, Christian and Kay served almost nine years in Japan as missionaries of the Presbyterian Church USA, building a national network of youth ministry leaders within the Nihon Kirisuto Kyodan, the UCCJ. Anna and Emma Zebley were both born in Japan during this time. In 2006, the Zebleys were then called to Los Angeles, CA where they ministered to Christians in the entertainment industry. Christian served as the National Coordinator of Multicultural Alpha for The Alpha Course USA while based at the First Presbyterian Church of Hollywood. In 2011, God led them to Montreat, North Carolina where they studied and partnered with Presbyterian Reformed Ministries International (www.prmi.org) to form Global Leadership Dynamics www.globalleading.org GLD ministers to leaders of diverse backgrounds, creates unity in the Body of Christ and forges strategic partnerships between organizations for global Kingdom impact. Since 2011, Christian has led GLD events in India, South Sudan, Japan and throughout the United States. He is a graduate of Swarthmore College BA, Princeton Theological Seminary MDiv, and currently working on a Doctor of Ministry in Leadership Studies at Denver Seminary. Kay is a graduate of Wellesley College with a degree in International Relations. She has also studied spiritual direction at San Francisco Theological Seminary. She is now a full-time educator leading the Zebley family home-school. Little Kids: all are welcome to go with Allie after the Children`s Message to have fun learning about more of Jesus’ Miracles. 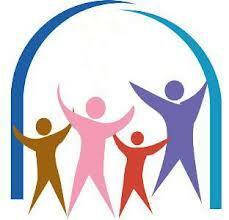 We have Multigenerational Sunday School from 9:30 in the cafeteria the second and fourth Sundays of the month. Who is welcome? All ages. We will be creating, discussing, playing games, acting out bible stories and more. At the same time, the Sacks host the Adult Sunday School, also at 9:30 am in their living room. The method used is the, “Swedish Bible study method,” interacting with the texts for the service through our own life experiences. Their home is right across the Lutheran Campus from our sanctuary. Best coffee in town = ) Come and enjoy! (At times Adult Sunday School is held in the Upper Room, on the 2nd floor above the Sanctuary.) All are welcome. Need more information, contact wtucrev@gmail.com any time = ) Sunday School schedule: 2/8, 2/22, 3/8, 3/22, 4/12, 4/26, 5/10, 5/24, 6/14 and 6/28. 20 Now may the God of peace, who brought back from the dead our Lord Jesus, the great shepherd of the sheep, by the blood of the eternal covenant, 21 make you complete in everything good so that you may do his will, working among us[a] that which is pleasing in his sight, through Jesus Christ, to whom be the glory forever and ever. Amen. 10 “Very truly, I tell you, anyone who does not enter the sheepfold by the gate but climbs in by another way is a thief and a bandit. 2 The one who enters by the gate is the shepherd of the sheep. 3 The gatekeeper opens the gate for him, and the sheep hear his voice. He calls his own sheep by name and leads them out. 4 When he has brought out all his own, he goes ahead of them, and the sheep follow him because they know his voice. 5 They will not follow a stranger, but they will run from him because they do not know the voice of strangers.” 6 Jesus used this figure of speech with them, but they did not understand what he was saying to them. 7 So again Jesus said to them, “Very truly, I tell you, I am the gate for the sheep. 8 All who came before me are thieves and bandits; but the sheep did not listen to them. 9 I am the gate. Whoever enters by me will be saved, and will come in and go out and find pasture. 10 The thief comes only to steal and kill and destroy. I came that they may have life, and have it abundantly. 11 “I am the good shepherd. The good shepherd lays down his life for the sheep. 12 The hired hand, who is not the shepherd and does not own the sheep, sees the wolf coming and leaves the sheep and runs away—and the wolf snatches them and scatters them. 13 The hired hand runs away because a hired hand does not care for the sheep. 14 I am the good shepherd. I know my own and my own know me, 15 just as the Father knows me and I know the Father. And I lay down my life for the sheep. and made my way safe. your help[a] has made me great.